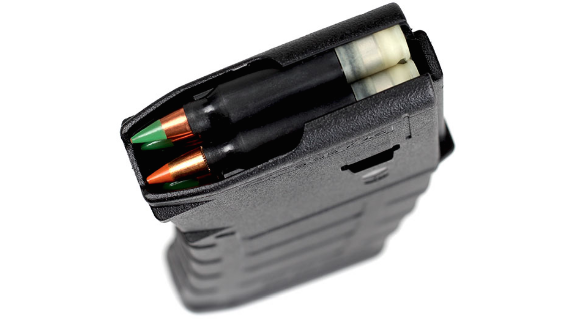 FightLite is introducing a polymer cartridge case to the market with their newest offering. This particular case is unique because unlike hybrid polymer ammunition with a brass base, these rounds are entirely polymer, apart from the primer, powder, and bullet. Although very forward thinking in design, many current polymer rounds suffer from reliability and heat issues that come into play during operation. This is especially important when it comes to machine guns, where the weight reduction from polymer ammunition truly shines, offering a claimed 30 percent decrease in weight as claimed by FightLite. The company is well aware of the various issues involved that have plagued other designs and has systematically tackled the problem to the best of their abilities. 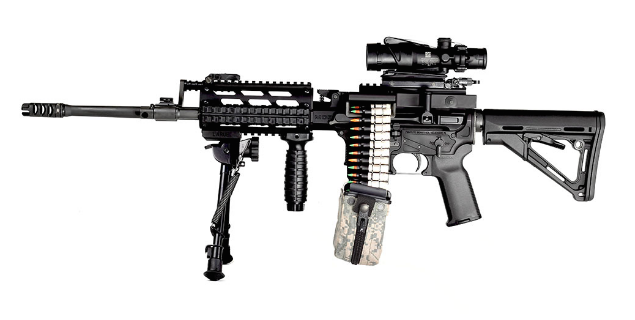 "The Army and some of our commercial customers have been interested in lightweight ammunition for quite some time, so our R&D team is pretty excited about the progress we’re making to finally solve the elusive lightweight ammunition equation for conventional rifles and machine guns," says Geoffrey Herring, CEO of ARES Defense Systems. "We’re aware that various iterations of polymer cased ammunition have been introduced to the commercial market during the past several years, but we also know some of the setbacks they’ve experienced along the way such as ballistic underperformance, case melt, moisture absorption, case separation or deformation, and catastrophic failures when the heat or pressure is up. Most of the polymer ammunition manufacturers are employing first through third generation technology which can be predisposed to fail when subjected to rough handling, temperature extremes, environmental conditions, and the pressures necessary for full ballistic performance of modernrifle ammunition." At this time we are unsure whether the company will release the ammunition to the general public for market consumption as it appears that the company is mostly focused on testing and evaluation by the U.S. Army. The Army has been working with a number of polymer cartridges, most notably the LSAT 6.5mm light machine gun. Along with the polymer ammunition, FightLite explicitly released it with the MCR modifications, thus combining an optimal ammunition source for an optimal light machine gun. The combination of these elements might be seen as a direct competitor to the LSAT process.